Do you need Sage 50 to be installed or upgraded? We can provide an On-Site (within a 1 hour drive of our Head Office) or remote Sage 50 & 50cloud Accounts or Payroll Installation Service. With over 20 Years experience using Sage 50 Software you can be assured that our knowledge will help with a trouble free installation. If you require a Network installation we do recommend a site visit as it’s easier to march around to each workstation than setup and remote link for each individual machine. 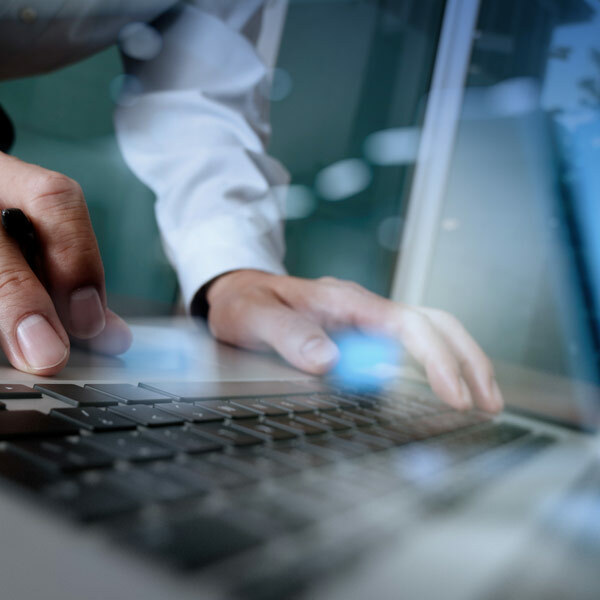 We utilise a Free Sage 50 Health Check Tool to analsyse and configure your Sage 50 & 50cloud setup. 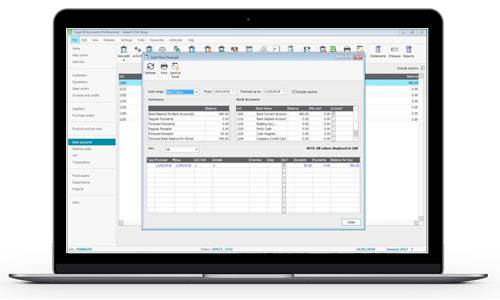 This Add-On program will perform some key diagnostic tests on the Sage 50 accounting system. The Adept Sage 50 Health Check Add-On includes a speed test that is ideal for checking how well the Network is performing with the Sage data files plus a Linkage Corruption test for the Invoice, SOP & POP modules. This free Health Check Tool is provided by Adept Computer Support Ltd who have a huge range of Add-Ons for Sage 50 & 50cloud, click here to see their full range. A visit to your office if a Network installation is required for more than 2x PC’s & 1x Server. Setting up a remote link to your PC’s & Server if equal to or less than 2x PC’s & 1x Server. Running a Check Data inside the Sage 50 software. Backing up your Data using the the Sage Backup option. Backing up your Sage Data by copying the Directories to a Shared archive destination. Installing or Upgrading the Sage 50 Data Service Manager on the Server/Master PC. Installing or Upgrading the Sage 50 software onto a PC and Upgrade the Data (if applicable). Running a Check Data inside Sage 50 software. Installing or Upgrading the Sage 50 software onto the other PCs in the network. Check all Layouts & Reports and update if required. 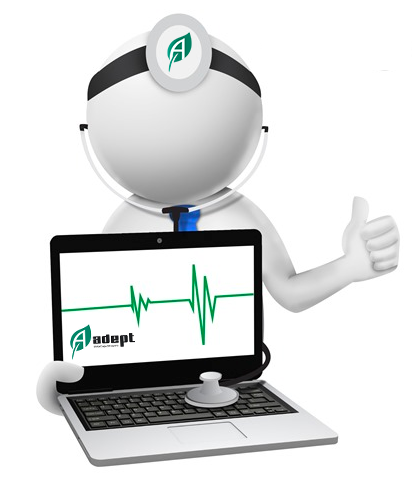 Run and configure the Adept Sage 50 Health Check Tool.